UPDATE: The #KickPlastic + Johnny Cash Abel Super Series Fly Reel Sweepstakes Extended! We're two weeks into the #KickPlastic + Johnny Cash Abel Super Series Sweepstakes and we're encouraged and excited by the response we've received from all of you. We've collected countless plastic fly cups for recycling and we want to keep the momentum going. With that in mind, we're extending the #KickPlastic Sweepstakes through the end of September. 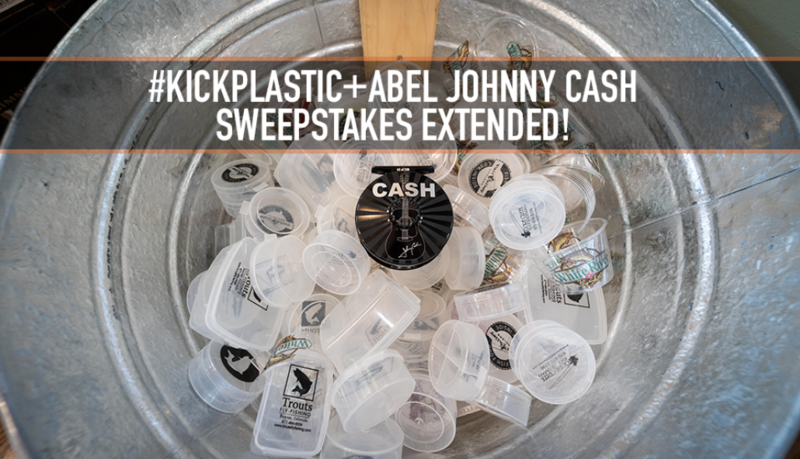 If you're not familiar with the #KickPlastic + Johnny Cash Abel Super Series Sweepstakes, here's a quick rundown. Now through September 30th, 2018, for every plastic fly cup that you bring into our Trouts Denver or Trouts Frisco locations will earn you one (1) entry to win a LIMITED EDITION Abel Super Series 5/6 Johnny Cash Fly Reel. Does that sound good to you? Yes?